Aimed at first-time buyers, Verizon's Pantech Marauder brings a dual-interface Android experience to the table designed to cater to the novices of the Android OS. 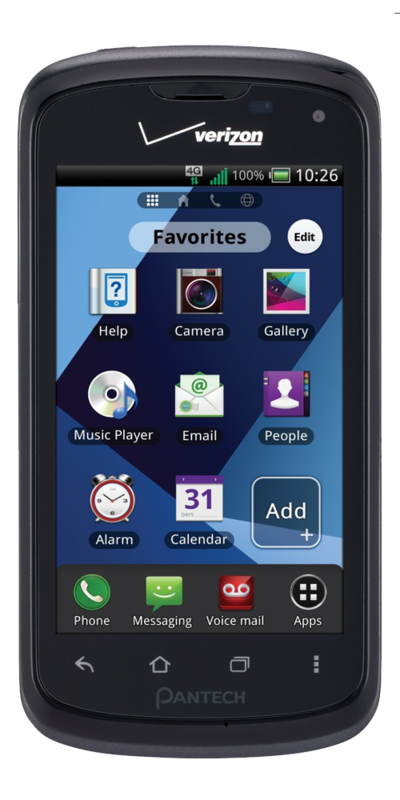 The 'Standard Mode' of the Pantech Marauder offers the traditional Android experience while the 'Starter mode' is a more basic interface for those just breaking in to the smartphone world. The Marauder features a slide-out QWERTY keyboard as well as a virtual keyboard. Other features include a 1.2GHz dual-core processor, 1GB of RAM and a 5-megapixel camera. The Pantech Marauder can also utilize Verizon's 4G LTE network.